Innovation isn't a fad, it's now a money maker for our investor clients. Genevieve, Marcus (our Head of IT) and I were extremely fortunate to be invited to attend the Telstra Vantage Conference in Melbourne earlier this month. What an incredible two days of learning from some impressive speakers across a range of industries! We were like three kids in a candy store, walking around the 'Village' seeing the forefront of new technologies. For 'tech head' enthusiasts like myself, seeing a Samsung virtual reality booth at the Telstra Vantage conference or hearing the announcement that the driver-less car is being tested here in Adelaide in November, is very (very) exciting. cost savings and returns for landlords. For us in real estate, striving for new ways of doing something is in our Toop DNA. We invest heavily in our Innovation Lab (headed up by four full time IT Programmers) but also in our PEOPLE to think differently. Challenging the norm isn't something we see as 'nice to have', it is expected in our team. And we love it! So in my world of property management we see a huge upside for investors when we start to think differently. Let me explain. It is the industry norm for property managers (across Australia) to be running at a million miles an hour just trying to get 'day-to-day' tasks completed on time. And that's without adding in any emergency works that must be actioned immediately such as overnight storm damage or a dangerous gas leak. It is a recipe for disaster and the staff burnout rate in our industry is extreme. In my view the whole model is completely unsustainable and has to be fixed. Our response has been to embrace technology and create quick efficiencies to reduce the number of steps in our processes. My Maintenance, our game changing patentable software, is a prime example of this technology in action. 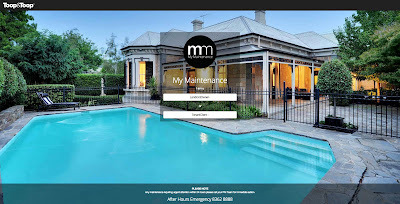 It has completely redefined the way property maintenance is managed. In such a process driven industry, focusing on automation creates a huge upside to investors as our team have more time to, firstly, think calmly and rationally and, secondly, focus on doing the things that matter; the things that will optimise our investor's returns. Our aim is not to replace relationships or the human element with technology - quite the opposite in fact. By utilising technology correctly, we can remove 'the noise' to allow a greater focus on what matters; you, our customer. At Toops we are passionate about exceptional performance and using technology to do better business and create greater cost savings and returns for our clients. Technology is genuinely fast becoming a game changer for investors... investors can now pocket the cash driven by better systems, better accountability and new systems.